Roast is a gourmet butcher shop on St Clair West. The focus here is on local sourcing—and affordable prices. 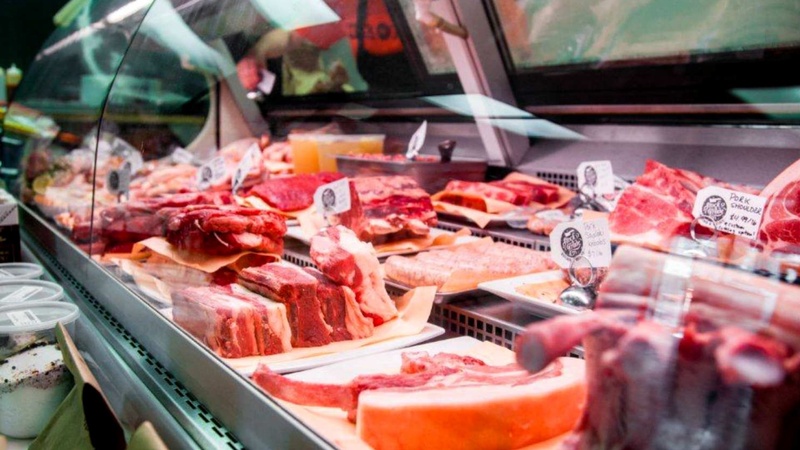 Owned and operated by Ben Latchford, the shop offers a selection of top-grade, naturally raised, hormone-free meats, along with an excellent supply of specialty foods. Roast offers prepared meals—freshly made in house—alongside cooking ingredients like jams, condiments and sauces. 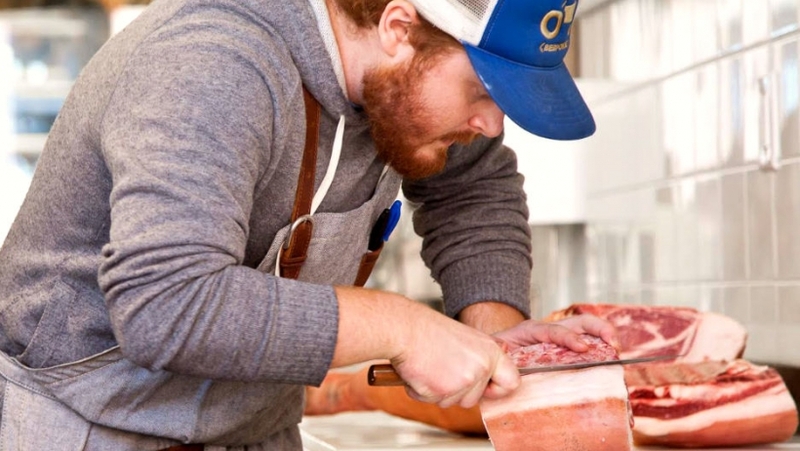 Owned and operated by owner Andrew Poulsen, a former chef at farm-to-table restaurant Union, Bespoke Butchers knows a thing or two about quality. The team at Bespoke stands by the concept that “you are what you meat,” so why not choose the best? Sold on-site are 100% grass-fed, certified-organic beef and lamb, pasture-raised chickens and heritage breed pigs. The shop has direct relationships with all the farmers whose products they serve, so you can trust that your meat is free from growth hormones and antibiotics. Bespoke offers butchery classes from sausage making to breaking down hogs, and they also do private dinners. 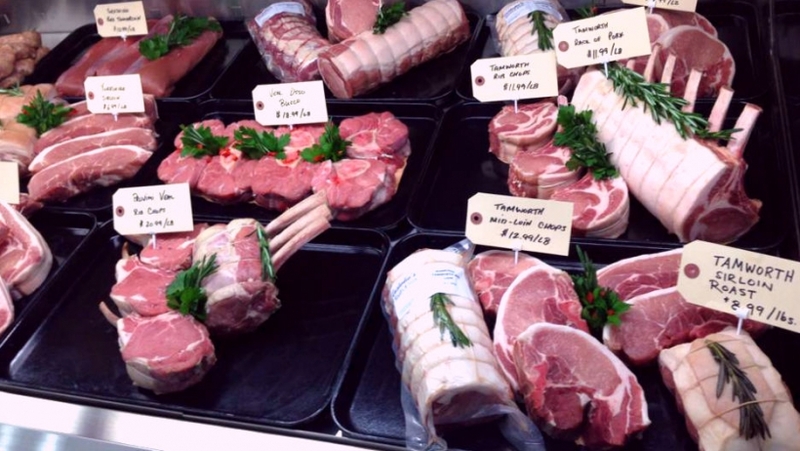 Good news, eastenders: there’s a neighbourhood butcher shop your way, and it’s pretty legit. Say hello to Stock In Trade. Owned by Jason Becker, the shop operates under the ethos of “happy meat,” which means that the animals they sell have lived pretty great lives. 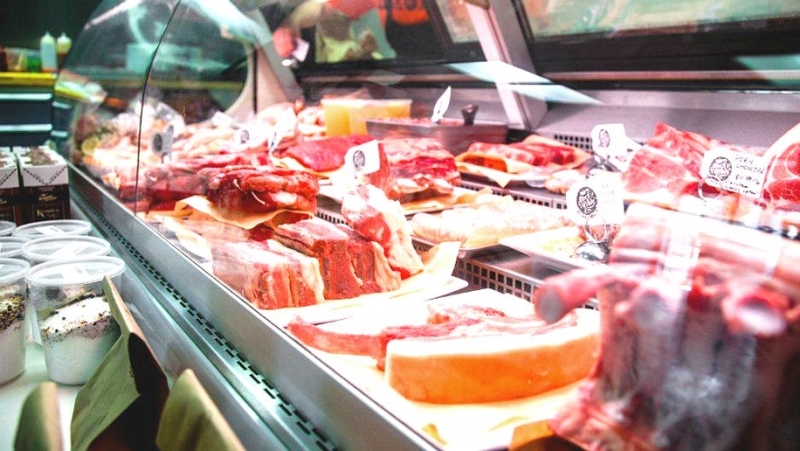 In light of the ethical origins of the meat and seafood on offer, prices at Stock in Trade are some of the best available. Also on site: tons of sandwiches and to-go treats. For Stephen Alexander, the art of choosing and cutting meat has run in the family for generations. 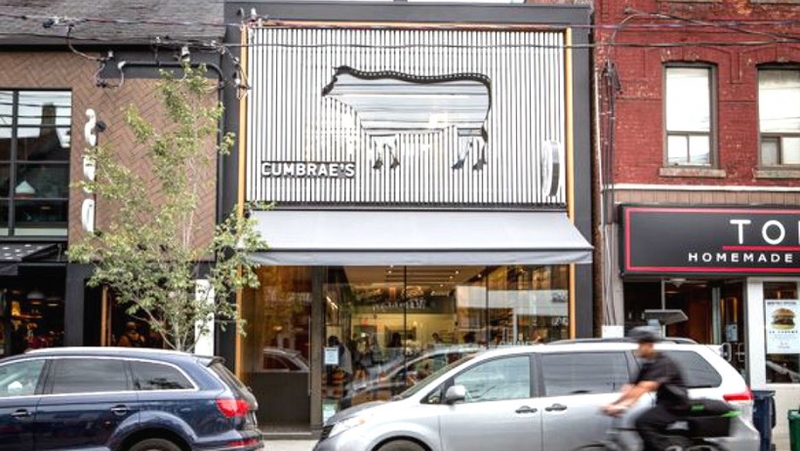 Alexander is one of Canada’s most respected butchers, and he’s now the owner and operator of two locations in the Cumbrae’s brand (one on Queen West, one on Church Street). Both shops have pretty high standards; Cumbrae’s is tireless about raising, producing and delivering some of the finest meats in the city. Their latest location on Queen West has a tempting grab-and-go counter with a huge selection of prepared dishes and sandwiches. Also on offer: an entire retail grocery section with everything you need to spice up your meat selections. Custodio’s Meats & Eats is a new specialty shop in the heart of Roncesvalles. Roncy is historically known for its Polish community, so high-quality kielbasa is nothing new around here. What sets apart owner Jason Custodio’s shop are the oversized display cases, all packed with ethically butchered local meats and lovingly prepared dishes (think double-smoked mac and cheese and roasted chicken pot pie). 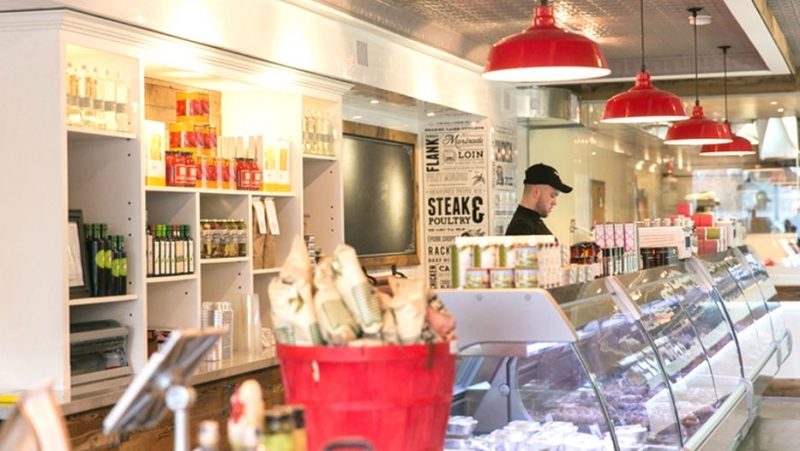 The shop, which has strong ties to small Ontario farmers, frequently changes out its offerings of over 65 prepared foods and cuts of meat to keep you coming back for more. 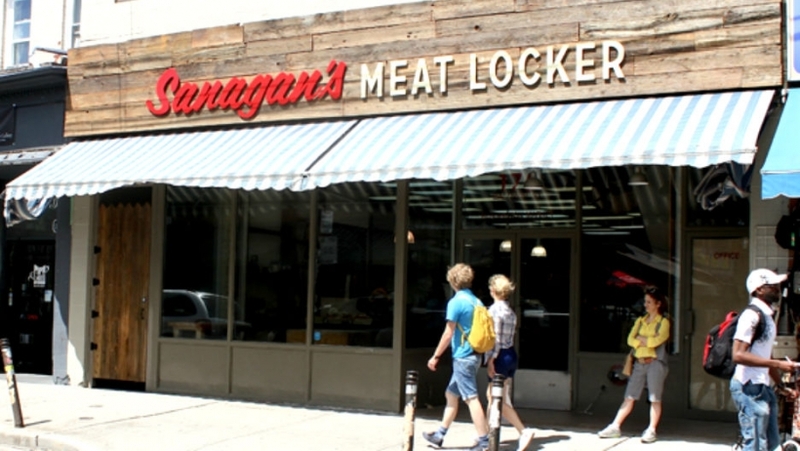 In a 5,000-square-foot space in Kensington Market, Sanagan’s Meat Locker is one of Toronto’s favourite go-to butcher shops. Owner Peter Sanagan has spent a lot of time teaching his customers about ethically raised and butchered animals. In addition to great locally sourced meats, Sanagan’s offers sandwiches, and a deli counter full of house-prepared terrines, stocks, and vacuum-sealed Metzger meats.